Bethke’s art portraying South African culture hung in the Martha Bennett Gallery spanning from February 21 to March 14. The current Martha Bennett Gallery exhibit features work personal to art teacher Brian Sago. Karl Bethke, with his exhibit entitled “A Visual History of Rorke’s Drift,” was Sago’s printmaking and color theory teacher in college and now serves as his artistry and printmaking mentor. Sago, ten years after graduating college, reached out to Bethke for further mentorship. After years of weekly Saturday meetings, Bethke put Sago in charge of his entire collection of over 130 prints. In 1978 Bethke spent a year in South Africa, and was inspired by local history and art. Following his sabbatical, Bethke decided to craft prints corresponding and depicting the history of Rorke’s Drift, the small town in South Africa where he taught. 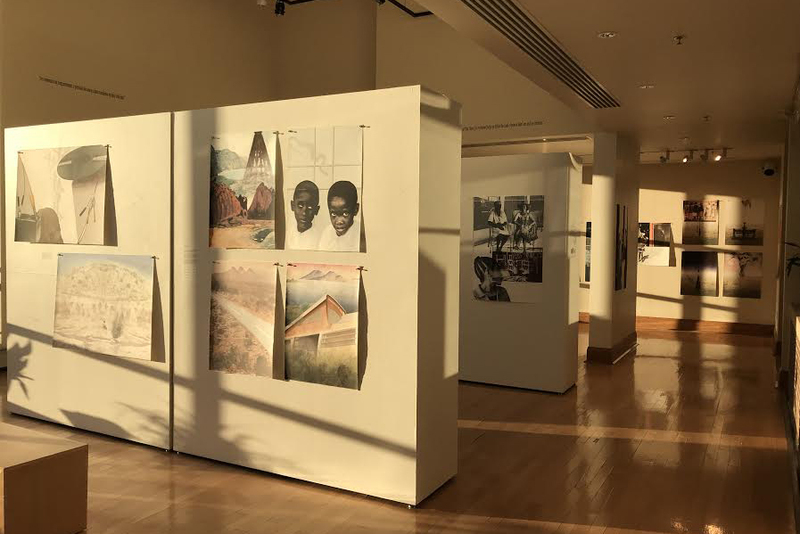 Because of Sago’s connection with Bethke, the curatorial team, including Printmaking 3 student Jessie Rudin ‘18, were able to hang and display the collection of prints. Rudin, after taking four of Sago’s classes, was asked by Sago “if I wanted to be a part of the hanging of the prints, and I really enjoy printmaking so I said yes.” Rudin, head curator, was in charge of organizing and choosing only about 30 of the 130 prints that Bethke has made. Bethke’s art portraying South African culture hung in the Martha Bennett Gallery spanning from February 21 to March 14. Sago said, of the exhibit, that “It is nice because we teach printmaking and photography and it is kind of neat that his exhibit ties into the [school] subjects we teach here. His work shows too that as an artist one year can really influence your work.” The next gallery exhibit will hang after spring break and will display some work from Blake’s other printmaking and photography teacher Elizabeth Flinsch.